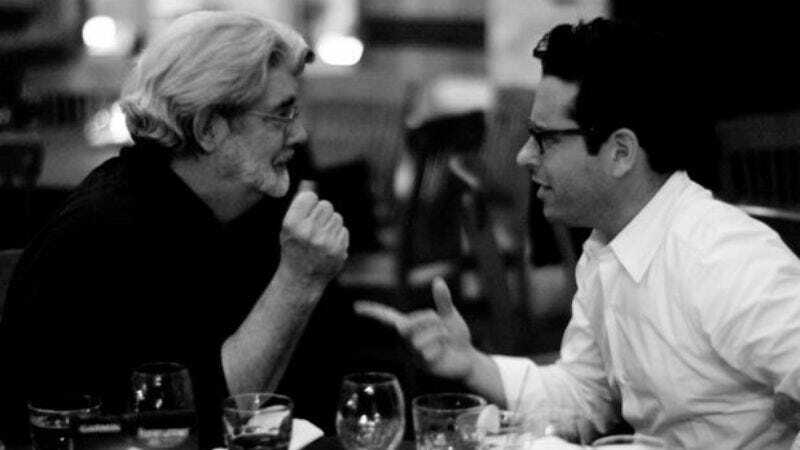 J.J. Abrams is such a big fan of Star Wars that initially, he refused offers to direct another entry in the series. But as we all know, he eventually came around, and his The Force Awakens will be released to theaters this December. The Force Awakens takes place 30 years after Return Of The Jedi, and while much of the plot remains in the mystery box even after two teaser trailers and some set photos, Abrams has revealed that there will be hints and references to the six previous films, as well as the 30-year gap leading up to the newest adventure. [W]e’ve obviously had a lot of time [during the development process] to talk about what’s happened outside of the borders of the story that you’re seeing. So there are, of course, references to things, and some are very oblique so that hopefully the audience can infer what the characters are referring to. We used to have more references to things that we pulled out because they almost felt like they were trying too hard to allude to something. I think that the key is—and whether we’ve accomplished that or not is, of course, up to the audience—but the key is that references be essential so that you don’t reference a lot of things that feel like, oh, we’re laying pipe for, you know, an animated series or further movies. It should feel like things are being referenced for a reason.